Flowserve Limitorque electric actuators are offered in intrusive and non-intrusive designs, and with numerous optional upgrades to address various process, networking and operational needs. Flowserve Limitorque is the world’s oldest supplier of intrusive, electromechanical multi-turn actuators and continues to produce the world class L120 and SMB series of electric actuators. Features and benefits include the modular L120 designed for ease of assembly, ruggedness and flexibility, and the most reliable and tested electric actuator available, the SMB. Torque ranges from 100 lb.ft./136 Nm up to 20000 lb.ft./27200 Nm and can be coupled to Limitorque’s gearboxes for additional mechanical advantage. 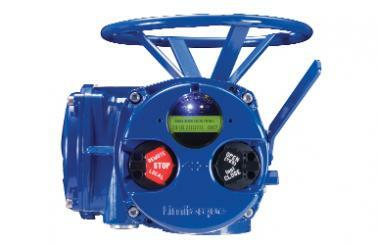 Flowserve Limitorque is a world class supplier of the non-intrusive, electronic multi-turn MX series of actuators. Features and benefits include patented absolute encoders w/ redundancy (B.I.S.T. - Built-in-self-test) and configuration, operation, and diagnostics in eleven languages. A full suite of network protocols are available including Modbus, Foundation Fieldbus H1, Profibus DP w/ Redundancy and Profibus PA, DeviceNet, and HART. Torque ranges from 55 lb.ft./73 Nm up to 1700 lb.ft./2307 Nm and can be coupled to Limitorque’s gearboxes for additional mechanical advantage. 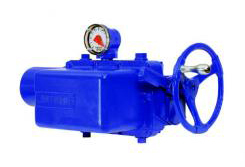 Actuators requiring 90° of rotation to operate are necessary for quarter-turn valves such as ball, butterfly, plug and dampers, and rotary control valves. These types of Limitorque electric actuators are available for operations such as open-close, modulating, network and rotary service. 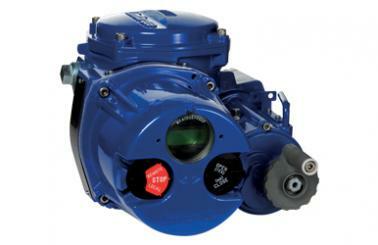 The QX is the Flowserve Limitorque product for the quarter-turn valve market up to 1500 ft-lb. Beyond that range any of the multi-turn products can be assembled with WG or HBC 90° worm gearbox operators to increase torque range and mechanical advantage.